Dimas joined SYSTEMIQ to work on the Partnerships for Forests Program in Indonesia. He has always loved the environment and is motivated by the prospect of integrating people with the good of the environment through innovative ways. Dimas believes SYSTEMIQ to be the best place to create a systemic change in the world of businesses and governments. 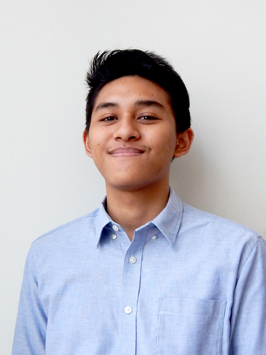 An Environmental Engineering graduate, Dimas has knowledge about processes that affect the environment. Before joining SYSTEMIQ, he worked as an environmental consultant on projects related to waste management and environmental impact assessments. He also worked as a management consultant doing research and risk assessments. He brings a diverse knowledge in environmental sciences and business acumen with experiences in solving difficult problems. An avid soccer enthusiast, Dimas enjoys playing sports and supporting his favourite club: Chelsea FC!